Here at BSB Sanlitun we always aim to offer our students, your children, a lovely variety of after school activities over the course of the academic year. BSB Sanlitun’s Summer term ASAs have kicked off with a bang! 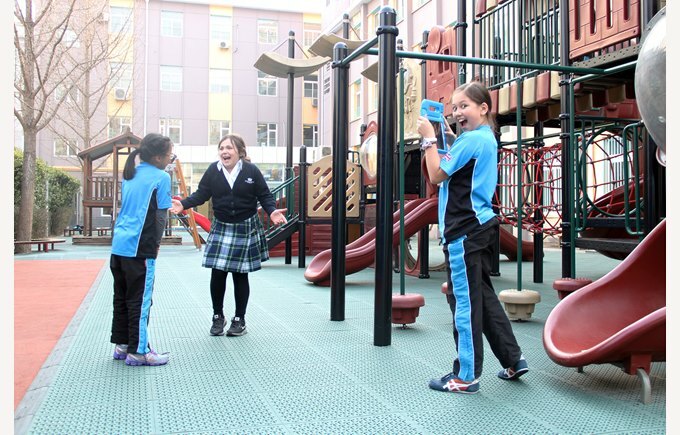 We’ve made full use of the fantastic outdoor environment at BSB Sanlitun, providing children with access to a variety of sporting opportunities. On the outdoor courts we have the next generation of Stephen Curry’s shooting hoops in Basketball ASA and on the AstroTurf we have smaller versions of Lionel Messi showing off their skills in football ASA. In the hall we have some of the most agile dodgers, ducking and diving in Dodgeball Club and also some of the fittest Iron-men and Iron-women working out to music in Circuit Training Club. The FOBISIA teams have the opportunity to have their Wednesday ASA in Lido - which is why so much extra outdoor provision at BSB Sanlitun has been made available to take advantage of during the wonderful summer months. As we travel inside BSB Sanlitun, we also bear witness to a wide variety of activities taking place in the classrooms. There are young astronauts learning about the cosmos in Space Club; young musicians perfecting their skills in Orchestra club; the next Michelangelo’s learning their craft in Play-dough Modeling Club; the new James Cameron’s learning the art of special effects in Green Screening; and there are budding Jamie Oliver’s creating mouthwatering dishes in Cooking Club, to name but a few of the great variety of activities on offer this term. The ASA team sincerely hopes that we have achieved our aim and that your children have had a thoroughly great time engrossed in activities that they might not necessarily get the chance to explore during the course of an academic day.